Call me old school, but, when it comes to classroom management and student behavior, I’m a stickler for some good ole’ fashioned manners. Some R-E-S-P-E-C-T! Can I get a witness? Just the other day I was assisting a small group of students when a student squeezed by me, bumping into me on their way back to their seat and they didn’t say a word. I was like “UM? !” I heard no “Excuse me.” “Pardon me.” “Sorry, Mrs. Moffett.”…nothing. There have also been several times when I’ve witnessed students open the door to enter a classroom and not even think about holding the door for the person behind them. Drives me crazy. Do you notice the same thing with your own students? As we all know, teaching academics is only part of the job of an educator. We must also teach our students the qualities that will help them to be productive individuals in society. Those qualities that will help them to simply become good people. A lot of the times we assume that students know how to show respectful behavior. We expect that parents are doing their part at home by teaching their kids these things. But we all know that doesn’t always happen. 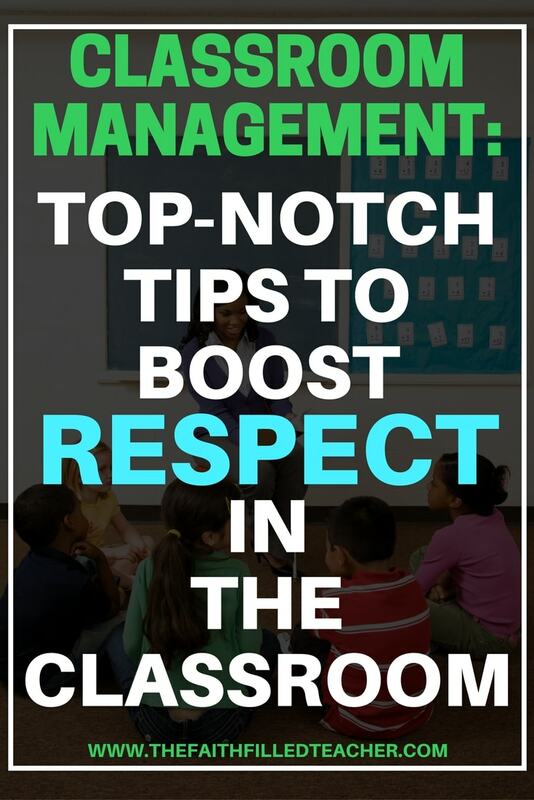 If you think you could use some assistance to help encourage respectful behavior in your classroom, check out my classroom management tips below. This is one of the most important steps to boosting respect in the classroom. You must be specific when communicating with your students what you expect of them. Never ever assume that your students know what you want. You have to tell them. Don’t assume that your students know how to conduct themselves during instruction, or how they should speak to you or their classmates. Communicate EXACTLY what you expect. I’m telling you from personal experience, most of the time, they just don’t know. And even if they do know, you still need to put the expectation in place. So when you’re teaching your students specific expectations for your classroom like where to find materials, your morning work routine, how to line up, etc., don’t neglect to teach expectations that reflect aspects of respect. Teaching your students specific behavior expectations will help ease frustrations that may occur later on down the road. It’s always best to be proactive instead of reactive. Even if it’s March and you are seeing disrespectful behaviors in your classroom, make the necessary changes. You are the captain of your classroom, so if your boat is moving in the wrong direction, by all means, grab the helm and turn that boat around. What do you expect students to look like/sound like during instruction? Things like: eyes on the speaker, turning your body towards the speaker/area of instruction, no sidebar conversation, and hands should be off of materials unless otherwise directed. Active Listening vs. Passive Listening: Depending on the background, experiences, and home life of your students, they actually may not know how to listen actively. Teach them what the difference is between these two. What students should do when another classmate has the floor during instructional time. A student who is called on to speak is not only talking to the teacher, they are talking to the whole class. This is not a signal for the other students to start having sidebar conversation. You have to correct this behavior. Your classroom should be a community where students see not only the teacher as a catalyst for learning, but see their classmates in this same light. Consistency is key! In order to have effective classroom management and a respectful classroom environment, you must be consistent with your expectations. Consistency means that you follow through with what you say. You enforce the expectations on a regular basis. And you hold your students accountable for doing the expected. If you’ve taught your students about certain behavior expectations to follow during instructional time, when they aren’t following the expectations, you must speak up. Make sure that you display consistency with all students at all times, so students know that you’re being fair and expecting the same from everyone. When we get lax with enforcing expectations, that’s usually when students start to slowly, but surely fall back into past habits. Before you know it, the expectation that was once in place is now a distant memory. So stay consistent. Manners and respect go hand in hand. Yes, manners must be taught! Like I mentioned earlier, we must teach students what behaviors we want them to exhibit, instead of assuming that they will come to school with this knowledge. Depending on the needs of your class, you may need to explicitly teach manners. I’ve always simply intermixed manners into those teachable moments throughout the school year. But whichever method you choose, always make it an expectation that your students exhibit good manners. say “please” and “thank you”. Show your male students to be gentlemen. Let’s say you go to work with a small group at a table and you’re short one chair short. If a female student is left without a chair, have a boy give their chair to the female student and have them go get an extra chair. When you teach your students expectations, it’s soooo important that they have some “buy in” to what you are putting in place. Your students are no different than you in this regard. They need to understand and know why they’re doing what you’re asking them to do. I don’t know about you, but when I see the value in something my principal is putting in place at my school building, I get excited about it and I have more of a desire to see it carried out. Your students are the same way. When you set your expectations up in your classroom, you must help your students understand why the respectful behavior is important to them and why they should exhibit this behavior. They need to know that being a respectful person is a good quality to have in life. They also need to see how the expectation is beneficial. Why is it important to listen when our classmates are talking? Why do we need to have our voices off in the hallway? Explain the why. Once your students understand why they’re doing something, the level of intrinsic motivation to do the task comes into play. Once that intrinsic motivation takes over, it’s a wonderful thing! Your students look to you as an important adult in their life. I’m sure you’ve been called mom or dad, (or grandma ha!) by your students here and there. They spend a lot of time with you! If your students are with you 7 hours a day, 5 days a week, that’s 35 hours a week. That’s 140 hours a month. Multiply that by how many months of school there are in your school year. That’s a whole lot of hours! Depending on what kind of home your students come from, school may be one of the most consistent parts of their lives. You may be the most consistent adult in their life. So it’s very important that you are modeling the behavior you want your students to exhibit. Your students should hear you saying “please” and “thank you”. Your students should see you holding doors for other staff members or students. Be a model. They’re watching you. While you’re teaching, you could say, “Boys and girls, thank you so much for having your eyes on me while I’m teaching, that shows me that you’re focused on what I’m saying.” Show your students gratitude for the respectful behavior they exhibit during the day. I guarantee they will be so excited that you acknowledged their behavior. And that acknowledgment will hopefully turn into even more respectful behavior. So remember, set clear expectations, be consistent, teach manners as you see fit, show your students the “why”, be a model, and always acknowledge respectful behavior. 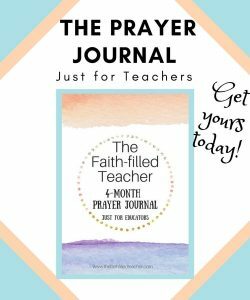 Along with seeking help, if you are struggling with respect in your classroom, pray. Pray for guidance. Remember, the Holy Spirit wants to lead you unto all truth. What would you add to the list? What do you do to boost respect in your classroom? Teacher. Wife. Mother. Christ follower and lover of all things home decor. 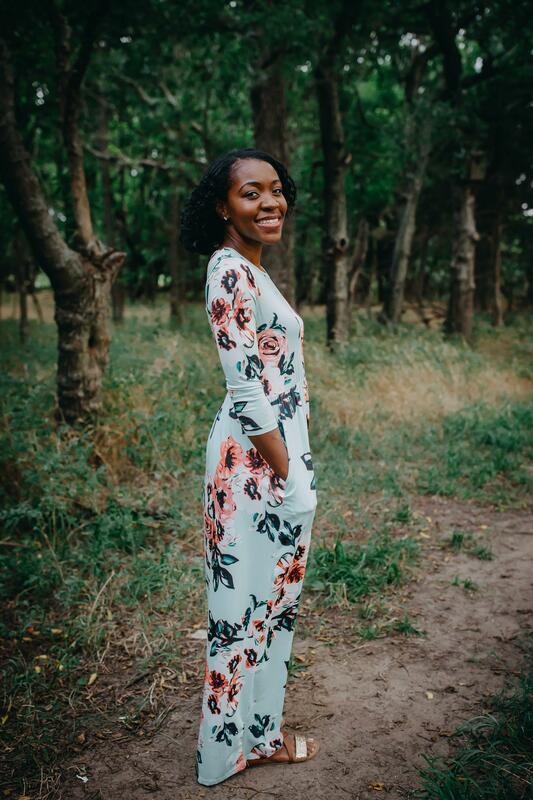 My mission is to empower educators to use their faith to excel in and out of the classroom.